We recently watched a show about arctic animals and my kids thought the Arctic Fox was adorable. 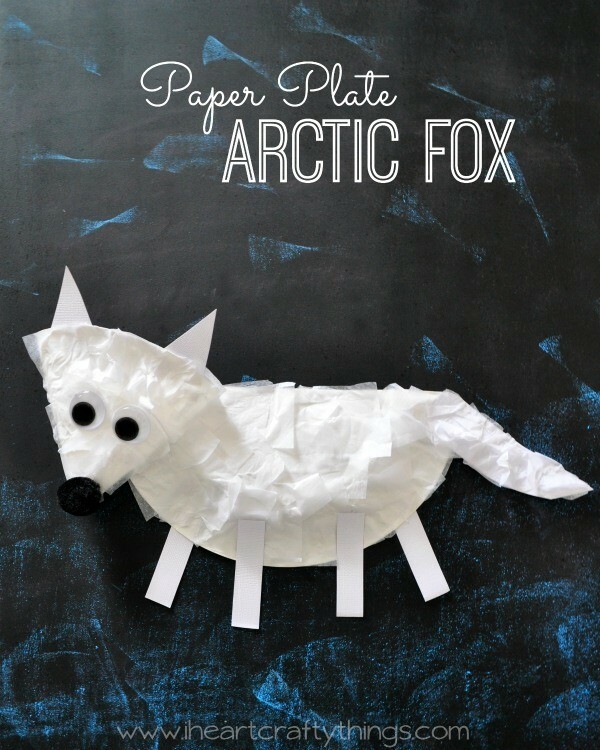 We decided it would be fun to make one as a craft so we put together this Paper Plate Arctic Fox Craft. 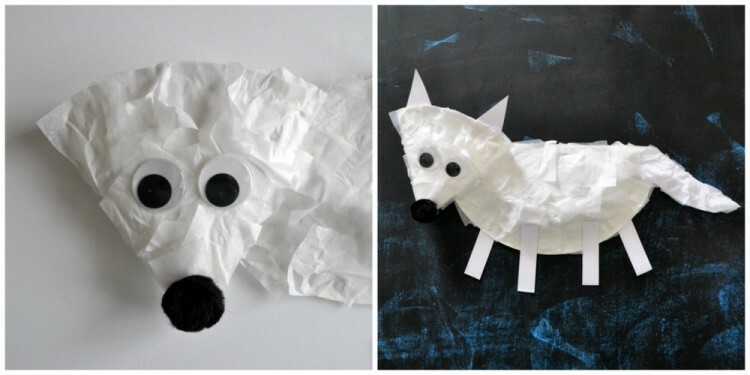 If your kids love arctic animals, you might also enjoy our Polar Bear Mask or Newspaper Polar Bear Craft. 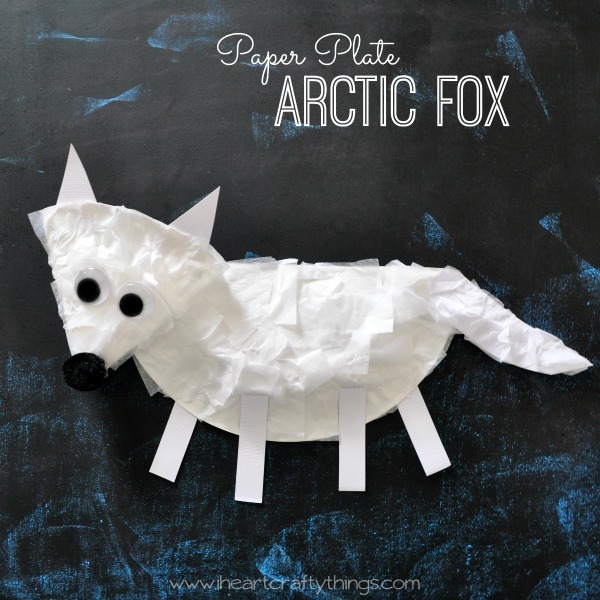 Watch the full tutorial of us making the paper plate Arctic Fox craft before you get started. Don’t forget to subscribe to our YouTube channel so you never miss a new video! 1. 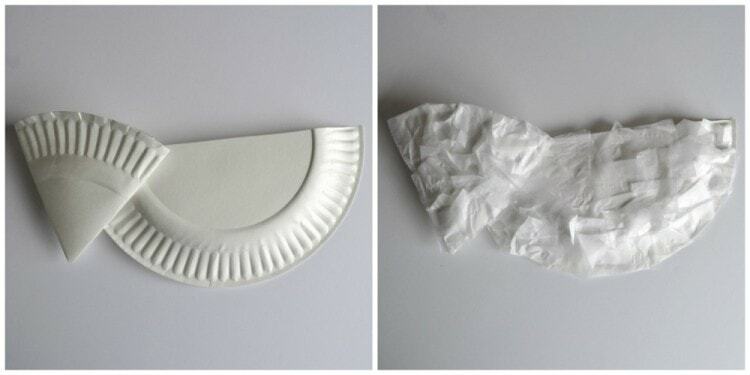 Start by cutting your paper plate in half. 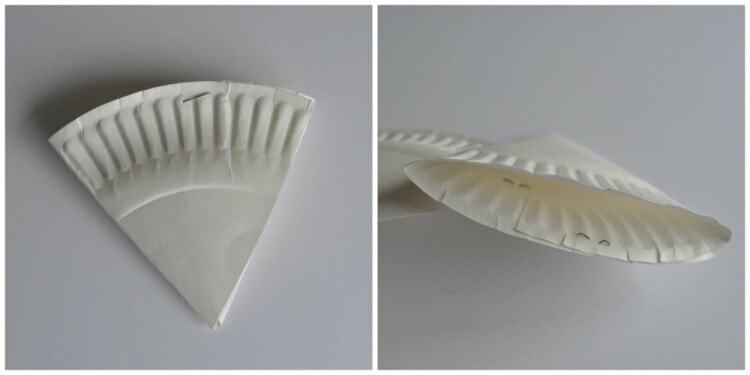 Fold the corners of one of the paper plate halves inward towards the center of the plate to create a triangle shape. Staple the pieces shut in the back. 3. 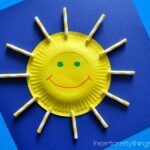 Add some glue onto your paper plates and cover them with tissue paper. Trim off any pieces that hang off the ends. 4. 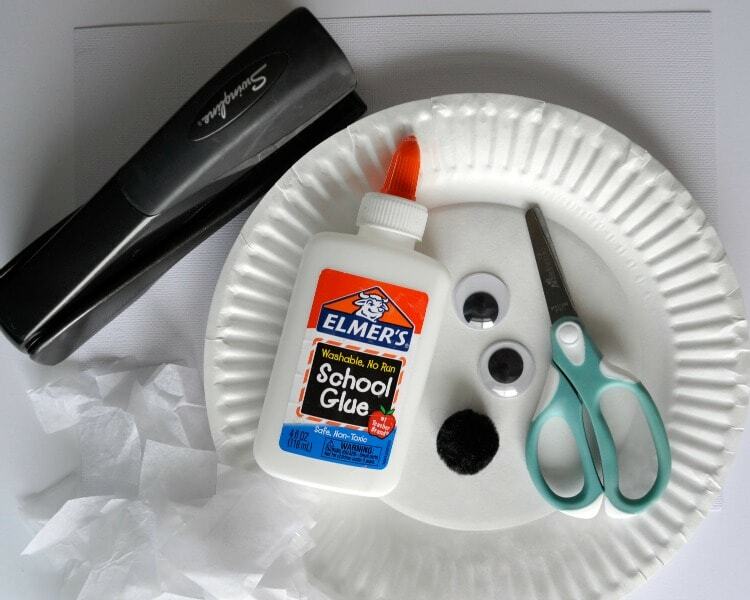 Glue your large googly eyes and black pom onto your fox face. He turned out really cute! You could also turn this into a regular fox craft by adding orange tissue paper to the fox instead of the white. Check out our Cupcake Liner Fox Craft for more inspiration. 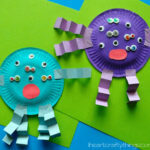 Looking for more winter animals crafts? 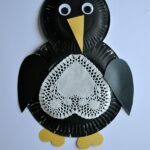 You’ll love this huge list of arctic and antarctic animal crafts. These paper bag snowy owls are also a big favorite!